A small sleepy town located in the southern part of the state of Rajasthan, Bundi is known for its palaces, intricately designed step wells and water tanks. The history of Bundi dates back to 1193 AD when Sultan Mohammed Ghauri defeated Prithviraj Chauhan, which compelled the Chauhan nobles to seek shelter in the neighboring state of Mewar. While some of them became allies to the king of Mewar, others proceeded towards the Chambal valley where they overpowered the ruling tribals and formed the two states of Bundi and Kota on either side of the Chambal River. Apart from its palaces, forts, lakes and beautiful surroundings, Bundi also has a number of colorful bazaars that dazzle your eyes. Bundi is also famous for the annual Teej festival held anytime during the months of July and August. Tourists must make it a point to travel to Bundi during this colorful festival, which can be an amazing experience. The best time to visit Bundi is during the winters (October to March). 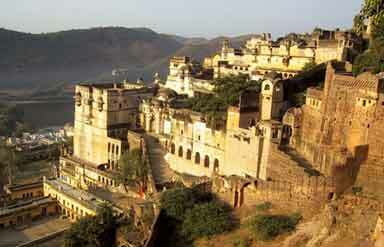 Some of the famous tourist attractions you can visit when you travel to Bundi are listed below. Raja Rai Singh, one of the most trusted generals of Emperor Akbar, built the Junagarh Fort in 1593 AD. The fort is a classic blend of oriental and European forms of architecture. It is situated on the desert plain unlike other forts in Rajasthan that are situated on higher elevations. The Junagarh Fort has remained unconquered till date and has only two gates, the main entrance being the Suraj Pol or the Sun Gate. The fort also houses a number of magnificent palaces and gardens that are famous for their exquisite beauty. The Nawal Lake is one of the most picturesque spots you can visit when you travel to Bundi. At the center of this lake lies a half submerged temple dedicated to Varuna, the Aryan god of water. The beauty and serenity of this lake draws a huge number of tourists who are left spellbound by the magical way this lake reflects the entire city. 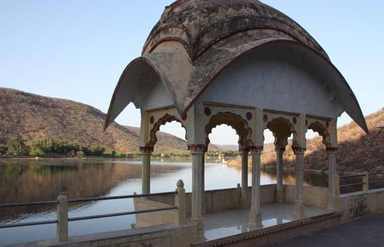 The Sukh Mahal is a beautiful summer palace situated on the Sukh Sagar Lake. Surrounded by pretty gardens, this palace is believed to have an underground tunnel, which connects it to the old palace in the city of Bundi. » Road: Bundi is connected to all the cities of Rajathan. You can move around Bundi on taxis and auto-rickshaws. Bicycles, which are easily available on hire, are also an excellent option to explore the city. » Rail: Bundi has a small railway station located at the southern end of the town. It is well connected to Agra and Kota by trains. Kota, which is 36 km away from Bundi, is the nearest railhead. » Air: The nearest airport is Jaipur, which is 206 km away. 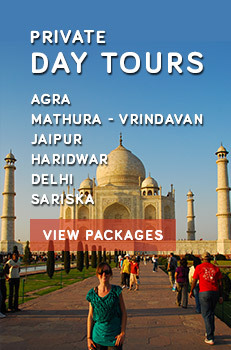 Caper Travel India provides tour packages to Bundi. For more information or to book a tour, please enter your query in the form given.